Sue Bird on winning her third title: "I didn't think I would ever get back here and because of that, this title will define my career." 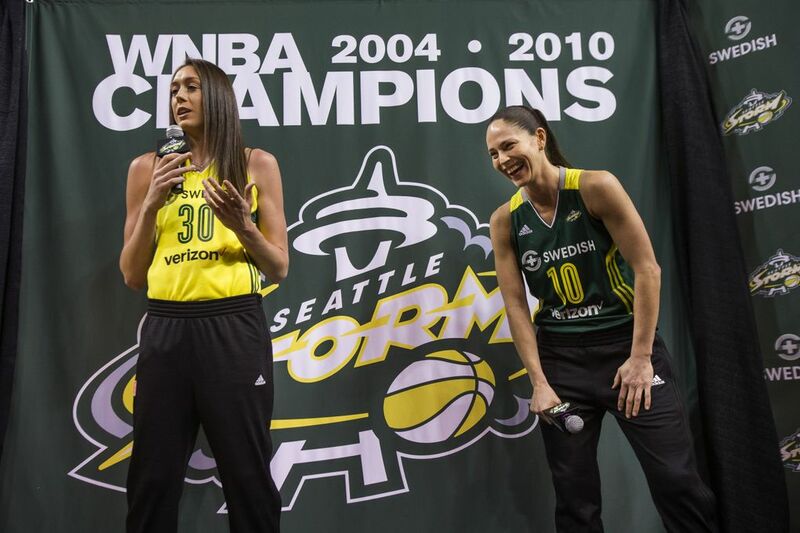 The Storm celebrates with a championship parade Sunday at 1 p.m.
Sue Bird wasn’t on Twitter the last time she won a WNBA title in 2010, so she was in awe of the support the Storm received during its run toward a third WNBA title. “I was joking with my teammates that this is my first championship in the age of social media,” the 37-year-old veteran said the other day. “So seeing the different tweets whether it was the other sports teams like the Seahawks or the Reign, seeing them tweet at us and congratulating us or wishing us luck. So much has changed in the past eight years for Seattle’s professional basketball team. 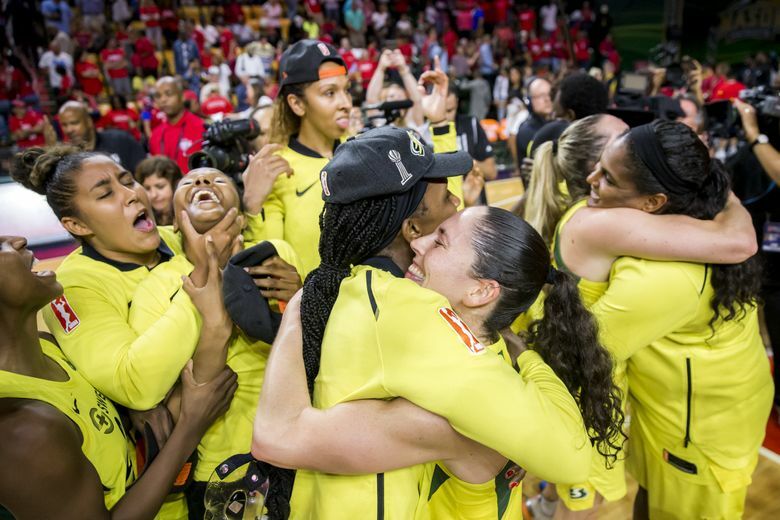 The cast of characters that gathered around Bird on Wednesday, celebrating the Storm’s third WNBA title after its sweep of the Washington Mystics, is entirely different from the team she led to the franchise’s last title in 2010. In the barren years after title No. 2, the Storm weathered some tough times, and after the 2015 season, Bird herself contemplated leaving Seattle and signing with a different team. But she stayed. And now she’s led the Storm to a third title. Here’s a look at how the Storm rebuilt and remade itself en route to the 2018 WNBA championship. After bulldozing through the 2010 season with a 28-6 record – the WNBA’s second-best record in a 34-game regular season – and posting a 7-0 record through three playoff rounds, Bird believed the Storm was at the beginning of a dynasty. The league and Finals MVP Lauren Jackson, a 6-foot-5 forward, was 29 and at the height of her powers. 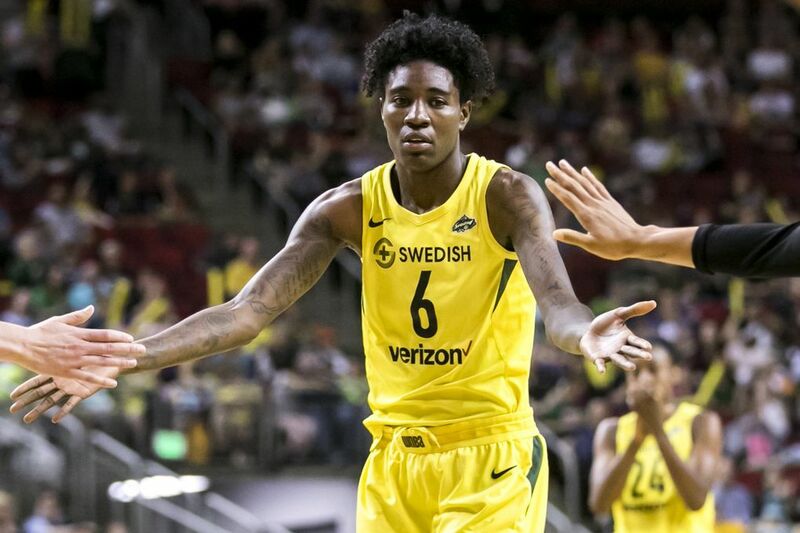 Seattle had a promising mix of talented youth in forward Camille Little (25) and guard Tanisha Wright (27) who formed good chemistry with veteran forward Swin Cash, a 31-year-old All-Star, and Bird. “You look at that team on paper at the time and you say, oh yeah, they’re going to win two or three (titles),” said Bird, who was 29 at the time. “We were that good. And I’d be lying if I said I didn’t think we’d get back to the Finals that next year. For three straight years after their 2010 title, the Storm fought its way to the conference semifinals but always fell short of the ultimate objective: a Finals berth. Forward Alysha Clark joined the Storm in 2012 as an undrafted rookie free agent and remembers the hardships of the team’s transition from a championship contender to the bottom of the league and back to the top. “Anytime you go through that type of situation where you’re rebuilding, patience has to be No. 1 because you have to understand that it’s a process first and foremost,” said the seven-year veteran. “To be able to play with the veterans who were part of that championship and learn from them what a professional is and what it takes to play in this league was invaluable. Cash, a four-time All-Star, was the first starter from the 2010 championship team to depart in a blockbuster trade with Chicago for the No. 2 overall pick in the 2012 draft. Seattle chose Shekinna Stricklen, a 6-2 forward who played three seasons before being dealt to Connecticut in 2015. “Anytime there’s changes and roster moves, you can always look back years later and say this worked and this didn’t work, but in the moment you’re always trying to make your team better,” said Alisha Valavanis, who was hired as president in 2014 and took over the general manager duties in 2015. “I know the decisions made before I arrived and during my tenure haven’t always worked like you want. As Jackson’s health deteriorated, the Storm attempted to replace the three-time league MVP with relics from the past. 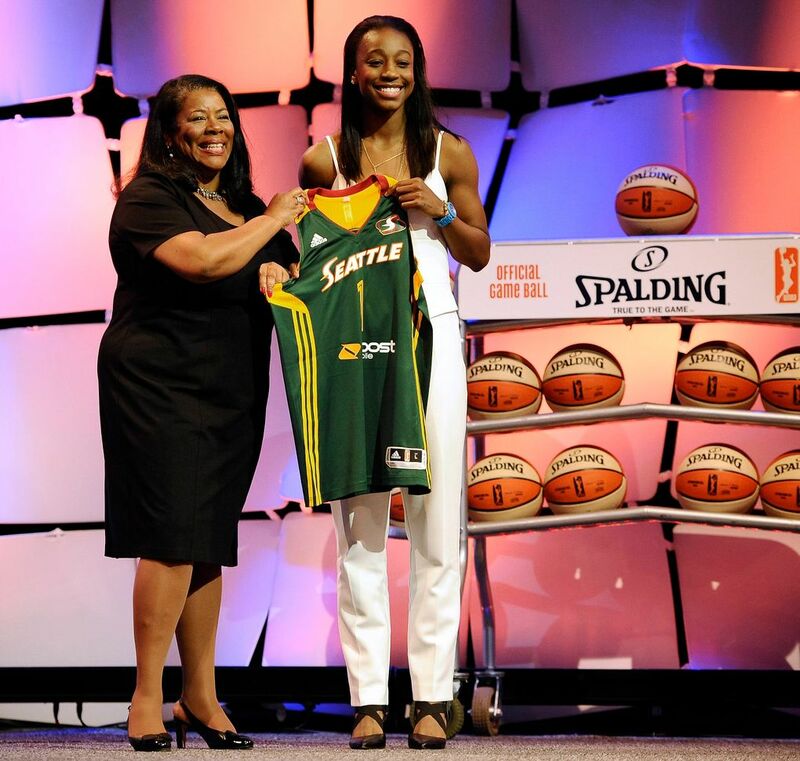 Before the 2012 season, Seattle signed Tina Thompson, the No. 1 overall pick in 1997 and Ann Wauters, the No. 1 overall pick in 2000. Thompson, who won four WNBA titles with the Houston Comets, was 37 when she joined the Storm and in the twilight of her career. Still, she averaged 14.1 points and 5.8 rebounds to earn her ninth All-Star invitation in her final year in Seattle in 2013. Meanwhile, Wauters lasted just one year while averaging 9.6 points and 5.8 rebounds in 2012. Jackson returned in September 2012 for just nine games, not including three in the postseason. No one knew at the time that Seattle’s 2-1 first-round defeat to Minnesota would be her last appearance in the WNBA. A hamstring injury forced Jackson to miss the 2013 and ‘14 seasons and she retired in 2015. Thompson and Wauters were short-term solutions, but the Storm needed to think about the big picture to replace its Hall of Fame center. Adding to the dilemma, Bird missed the 2013 season while recovering from surgery to have a cyst removed from her right knee. It was a sobering time for the Storm, which didn’t have either Bird or Jackson in the lineup for the first time since the first year of the franchise in 2000. Before the 2014 season, the Storm made its most significant move since its second title and traded with the Washington Mystics for two-time All-Star Crystal Langhorne. Paired with 2010 holdovers Bird, Little and Wright, Langhorne started all 34 games, led Seattle in rebounding with 7.4 boards per game and tied for team-high scoring honors with 12.9. But it was impossible to overlook Seattle’s 12-22 record, which tied for worst in the league and marked the first time since 2003 that the Storm failed to make the playoffs. The Storm landed the No. 1 overall draft pick in 2015 and used it to select Notre Dame junior Jewell Loyd, a prodigious guard who left school early with a year of eligibility remaining. It was a significant acquisition for the Storm that overshadowed the departures of Wright, who signed as a free agent with New York, Little, who was traded to Connecticut, and coach Brian Agler, who resigned. Bird never felt so isolated. In just five years, she was the only person remaining from the 2010 championship team. “We got the No. 1 pick to get Jewell and that was when talk of a rebuild first started,” Bird said. “The franchise was basically saying, we’re starting over and we’re going to go young and we’re going to try to build this up. During a 10-24 season in 2015 – the second-fewest wins in franchise history – rumors began circulating that Bird, a Syosset, N.Y., native and two-time NCAA champion at Connecticut, would leave Seattle to play closer to home. So what pushed her back to Seattle? “We got the No. 1 pick again and it changed things,” Bird said. Seattle had the best chances (44.2 percent) of winning the 2016 draft lottery and beat San Antonio – then coached by Dan Hughes – for the top spot. The Storm used the No. 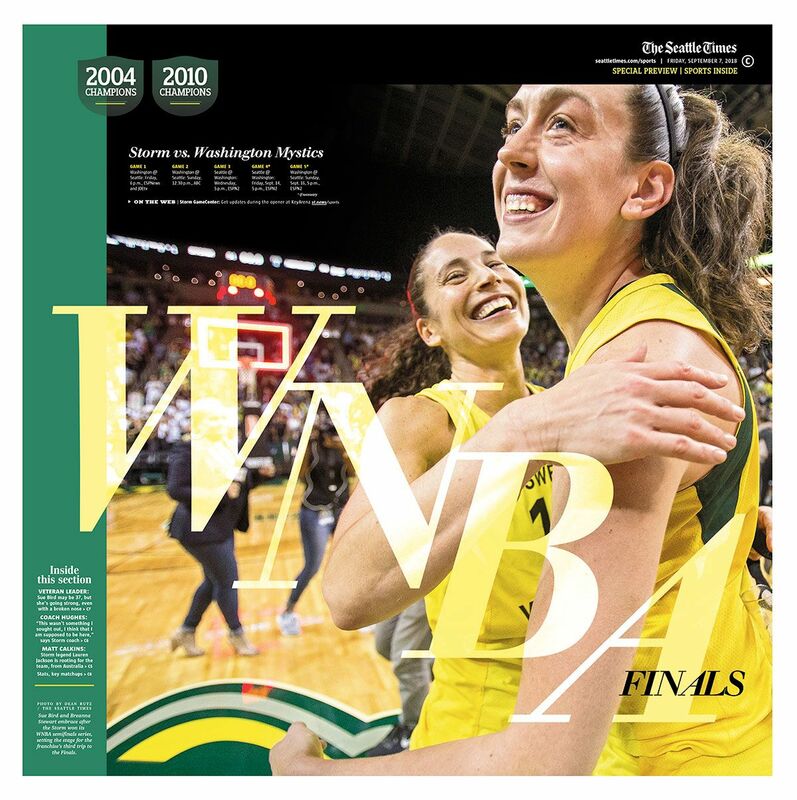 1 pick on Breanna Stewart, a once-in-a-generation superstar, and it would be convenient to say the rest is history, except there were still a few more twists, turns and tinkering before a third title. With Stewart and Loyd – the new-age Jackson-Bird dynamic duo – in place, the Storm returned to the playoffs after a two-year absence. However, Seattle came up short in single-elimination first-round playoff games on the road in 2016 and ’17. Valavanis believed she needed to tweak the roster and add size to the front line. The Storm didn’t want Stewart, a lanky 6-foot-4 forward, banging against the WNBA’s elite centers, and Langhorne is an undersized post player at 6-2. Seattle dealt its 2017 first-round draft pick in a three-team trade to land New York’s Carolyn Swords that year, but the move didn’t pan out. The 6-6 center averaged 2.6 points and 1.5 rebounds – both career lows – in just one season. More roster moves were required, but not before Valavanis pulled Hughes out of a one-year retirement to return to the sideline. Before the 2018 season, the Storm used the No. 5 pick in the draft to select speedy point guard Jordin Canada who is slated to replace Bird whenever she retires. The missing piece proved to be Natasha Howard, a 6-2 forward who had been a role player off the bench while helping Minnesota to the league title in 2017. Howard was looking for a bigger role and the Storm was looking for someone to add depth on the front line. “I remember being in an airport in Chicago – we had a layover – on a flight between Minnesota and Seattle when I was going to sign my contract and I had a conversation with (Lynx coach Cheryl Reeve),” Howard said. “I told her I appreciate everything you did for me, but I’m excited to take my journey to Seattle. After I got off the phone with Coach Reeve I sat down and was like whew, I can’t believe I did that. After a season-opening 87-82 loss at home to Phoenix, Howard moved past Langhorne into the starting lineup and the Storm won the next five games. With its starters healthy, the Storm posted a 26-8 record in the regular season. And in the playoffs, Seattle dropped a pair of games in a 3-2 win semifinals win against Phoenix before steamrolling Washington in a 3-0 Finals sweep. “I couldn’t be happier with how it worked out,” Bird said. “To go through all of this and have it finish the way it has and the way we did it makes this one unlike any other championship.